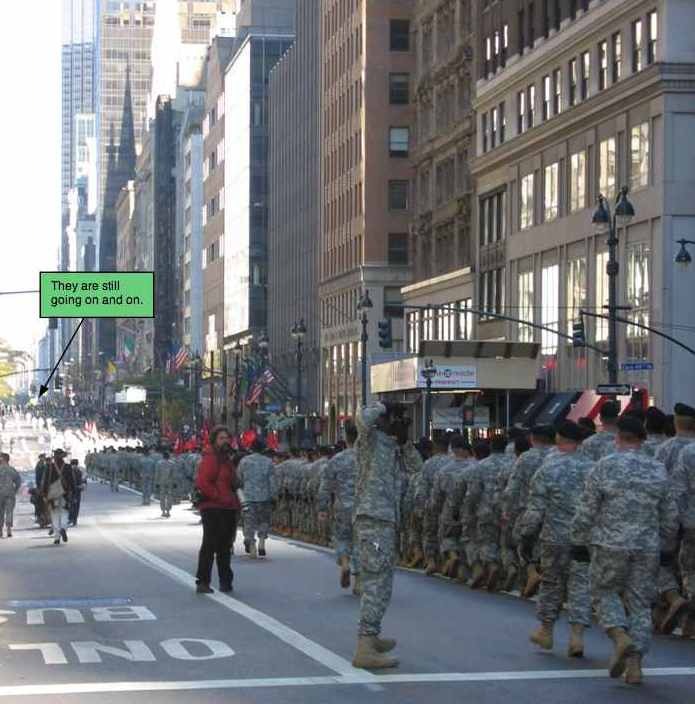 I went to the library today and ran into the Veteran’s Day Parade. I didn’t even know it was Veteran’s Day. This small clip does not give a sense of the never ending sea of soliders there were. They went on for miles up 5th Avenue, but my view was blocked, so turned I back and focused on the guys in front of me. Made me want to cry. The world is a mess and still I do nothing. Some pictures follow the video. This shot was from the library (which was closed, duh, how do I get through my life). This is looking up 5th. That must be St. Patrick’s a few blocks up on the right. When I watched the video clip, my first thought was Oh thank god they are all here marching up 5th Avenue, and not “there”. 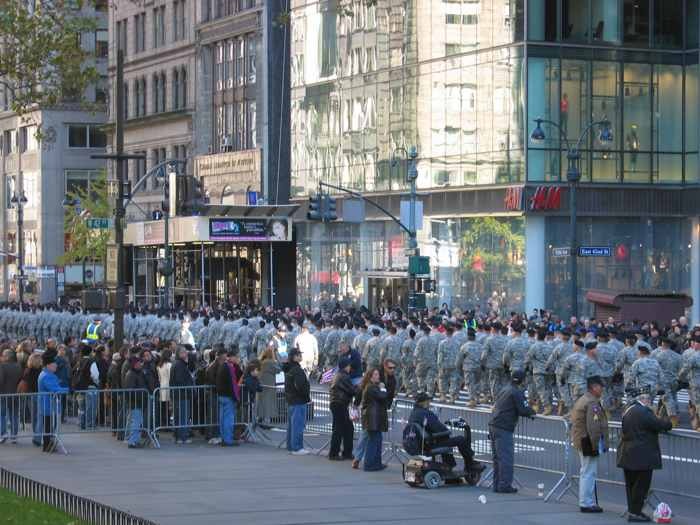 I was wondering about that — are they shipping out or are these vets who have returned?